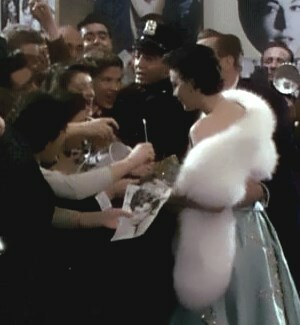 A movie star meeting her adoring crowd. "Fans are great. Fandom is weird." The term used for the collective of fans for any given work, person, or other thing, that came together for mutual benefit. Often have different terms for more specific things, but this trope covers them all. The term "fandom" can be traced back as far as 1903. Fanwank has featured a few vintage wanks that show fans have always been as crazy as they are now. This might have existed since the beginning of fiction. Compare Fame and Reputation Tropes, Admiration Tropes. Contrast Hatedom and Fan Hater. Is not the opposite of Fan Sub. Also not related to wiki hosting service Wikia (currently known as and soon to be fully renamed Fandom).